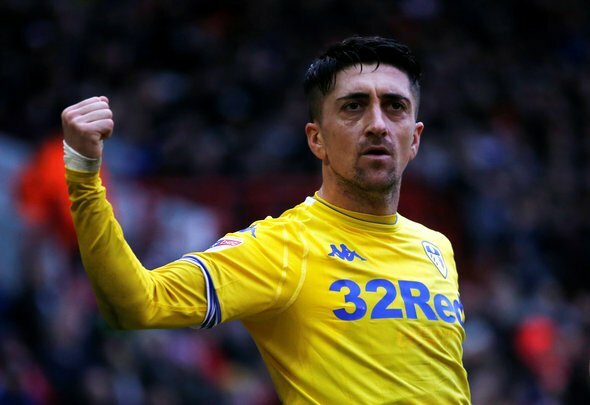 Pablo Hernandez has not only been Leeds United’s best player this season, but he has also been the best player in the entire Championship. The 33-year-old looked as though he reaching the end of his career when he joined the Whites from Qatari side Al-Arabi in 2016, but since then he has somehow managed to show some of the form that helped him become a key player for Valencia, help take Swansea to the Europa League and earn four caps for Spain. Leeds have not really seen the like of Hernandez since they were relegated from the Premier League, almost 15 years ago now. Other than Marcelo Bielsa, the Spaniard has been the most influential man in helping the Whites reach their current position in the Championship as they sit in second place, with promotion to the Premier League seemingly in their own hands. Hernandez has scored seven goals and supplied 11 assists in 24 appearances across all competitions this season, and it seems like when he doesn’t play, Leeds really struggle to win. At the start of the season an injury kept the former Valencia star sidelined for about six weeks. During that spell, Leeds played eight games as they were knocked out of the Carabao Cup by Preston and won just two of seven Championship fixtures. When Hernandez returned from injury he did so with 19-minute appearance off the bench against Blackburn, but the damage was already done by then as Leeds lost 2-0 away at Ewood Park. In the next league game, Hernandez was back in the starting line-up, supplying two assists as Leeds won 2-0 against Ipswich. Sure, Ipswich have been awful this season, but explain how in November and December, the 33-year-old scored or assisted at least one goal in games against each of West Brom, Bristol City, QPR, Sheffield United, Aston Villa and Blackburn. Leeds missed Hernandez yet again on Saturday when they played Middlesbrough. The former Spain international failed to make the starting line-up due to a slight injury concern but appeared off the bench at half-time in a game that ended 1-1 thanks to his influence. Hernandez’s statistics [Yorkshire Evening Post] from off the bench were jaw-dropping as he went on to complete more passes than anyone in the entire Middlesbrough side throughout the game. Only three players had more touches than him by the time the game was over and only two of his Leeds team-mates had more passes than him. Hernandez is a one-off and deserves not only promotion this season, but a space in Football League history by winning the player of the season award.